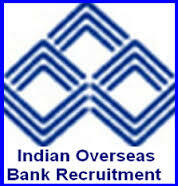 IOB Senior Manager Recruitment 2015 – Apply Online: Indian Overseas Bank (IOB) has released recruitment notification for filling up 100 Senior Manager Post Vacancy in MMG Scale III – 2014/15. Eligible candidates may apply online form 18-02-2015 to 06-03-2015. After Online Apply Candidate send hard copy of application on or before 14-03-2015. Other details like post name, age limit, qualification, selection process and how to apply are given below. Age Limit: 26 to 35 years as on 01.02.2015. Online Registration Start Date: 18.02.2015. Online Registration Closing Date: 06.03.2015. Last Date for Receipt of Hard Copy: 14.03.2015. DMRC Recruitment 2018 Apply Online 1000+ JE, Asst Manager, Maintainer & More!